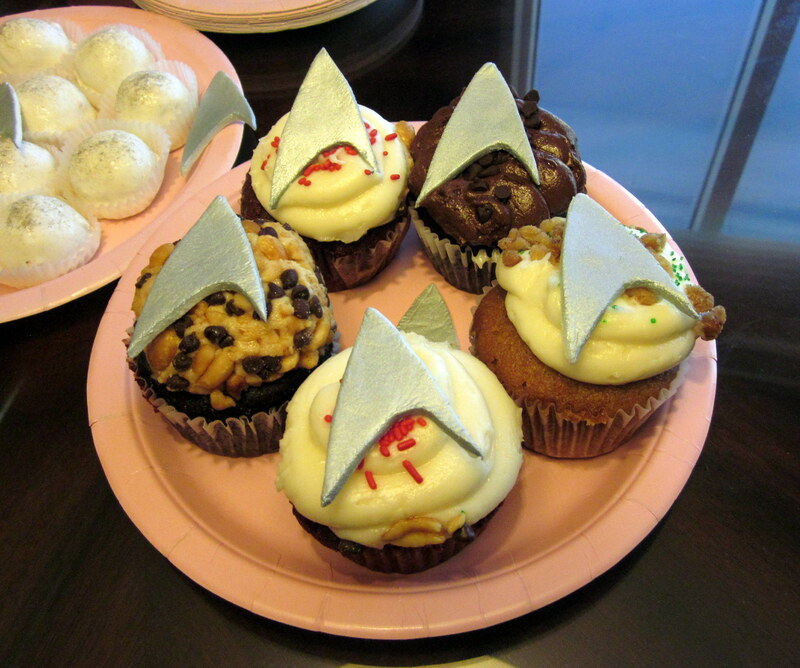 A couple weekends ago, I flew out to Vegas for a friend’s Star Trek themed bachelorette party. The theme was a surprise for the bride—who thoroughly enjoyed it, even though she’s more a Next Generation Trekkie than The Original Series (TOS) Trekkie. The girls dressed up in blue and black dresses, wore Spock ears, and the TOS insignia. Surprisingly, few people could figure out our Vulcan costumes and some even thought our pointy ears were real—maybe we needed the eyebrows and bangs. 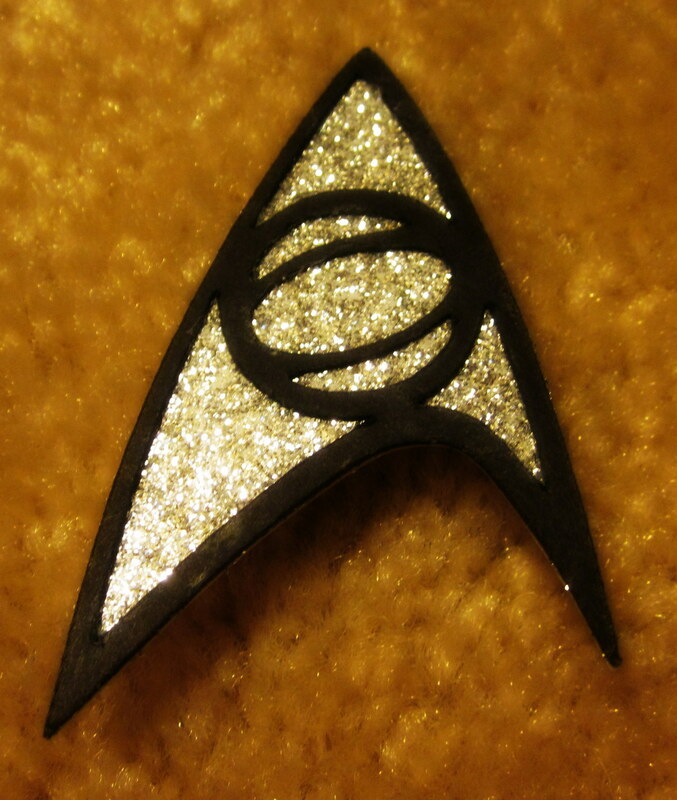 Here are the insignia that I made using my Cricut, silver/glittery scrapbook paper, black paper, and pins. The glue didn’t hold well and we had to improvise with some tape at the corners. 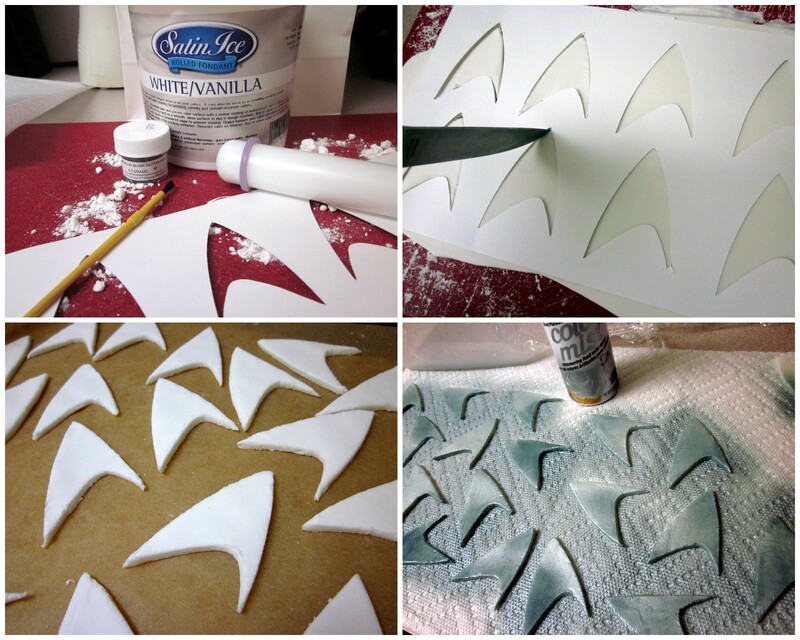 This entry was posted in Crafts, Food and tagged Bachelorette, fondant, Star Trek. Bookmark the permalink. I love me a group of ladies who are dedicated to a theme! Rock on! These are great! 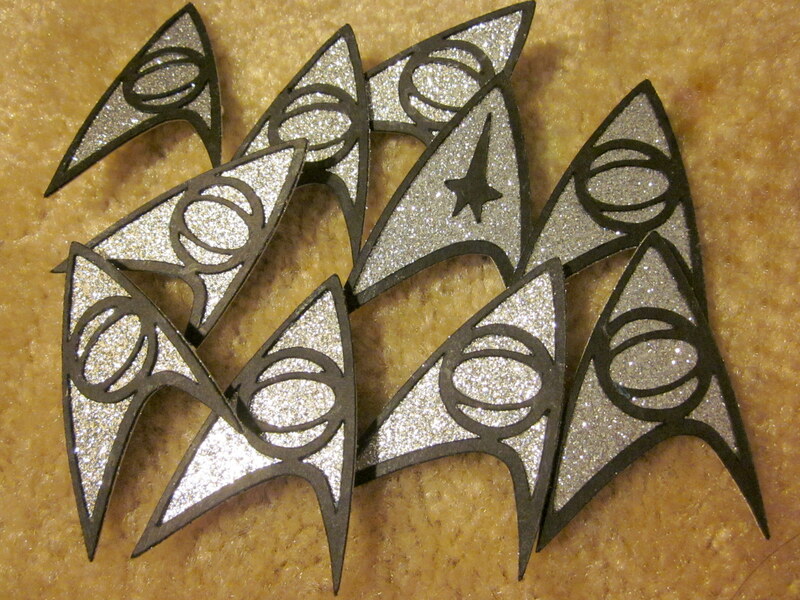 Can I ask what Cricut cartridge you used to make the Star Trek insignia? I’ve been looking for awhile, but with no luck. Would really appreciate any tips! Hi Gwen! I used the Sure Cuts a Lot Software and found a jpeg online to cut out the insignia.